The story of an old house does not lie just with the person who built it and the time when it was new, but also with the people who have nursed it and fortified it against the future. Colbinabbin Run is entirely hidden from the road. Passers by get no hint of peeking chimneys or an old European tree grove, features which usually betray a grand hidden house. The house sits on many acres of farm land, by the banks of Cornella Creek in north central Victoria. Turning off the main road, you enter through elegant but utilitarian green iron gates. The long road to the house is not the original carriage drive, but there are still hints of a once large Victorian garden. The house is a large grey rendered single story early Victorian in a simple Italianate style. 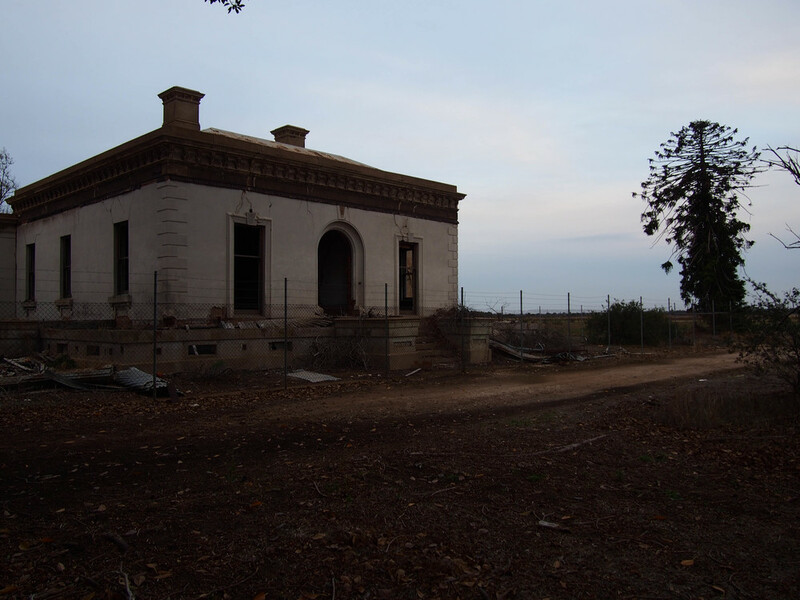 It has none of the ostentation of the later architecture of the Victorian Goldfields, but it still manages to impress upon its visitor a sense of reverence. It is the sort of house that causes you to hush your voice when you approach it. This effect is achieved chiefly through the architect’s use of proportion. While it has all the usual features of a suburban single fronted Victorian house such as a central entrance, single sash windows and concave veranda, these features are more than twice the standard size. It is hard not to feel daunted when approaching the front door. Everything about the house is bigger than normal. Fiona and Brendan are the second generation of their family to live in the house. Fiona’s parents saved the house from dereliction in the 80s and 90s, working slowly and steadily over the decades to bring back its original splendour. They repaired the defacement of the 50s and have also restored its structural integrity. When Colbinabbin Run was built in 1867 this part of Victoria had been settled and farmed for just over 20 years. Even today, the distances from the nearest major centres (Bendigo, Shepparton or Echuca) seem vast. The isolation of the area must have been immense then. Seen against this backdrop, the pretty country house must have felt more like a fortress in a hostile land. Like many houses of its kind it was an entirely self-sustaining compound, with bakery, dairy and every kind of outbuilding needed to support the comfortable existence of its residents. There is even a small cemetery on its grounds. At its peak the house employed more than 40 people, most of them farm workers. Colbinnabin Run has a twin, which stands some 5km to the north. Stanhope was built by the same family (brothers), in the same year by the same architect as Colbinabbin Run. The two buildings are so alike in appearance, size and layout it is as if they are variations on a theme. In stark contrast however, Stanhope stands derelict and lonely against the wide plains and open sky. Unlike Colbinnabin Run, it is visible from the nearby road across a flooded field. Its outline and darkened window holes cut a sad form, with the house’s original Victorian rendering weathered and fading naturally into the surrounding bush. The house has not been inhabited since the 1960s. Luckily, the roof has remained intact and sturdy, and it is this protection from the weather that has allowed the rest of the house to survive in a relatively good condition for a “ruin”. All of its walls are vertical, and very little structural cracking has occurred. Stanhope was given up on a long time ago. Even the Victorian Heritage Register states that it was “demolished” in 2004. Stanhope has lost its floors in all but its service corridor (which runs through the back of the house and connects the bedrooms to the reception rooms). This is due to more than just dereliction, but also appropriation. All of the house’s choicest fittings and fixtures, including its grand cast iron stove, ceiling roses, fireplaces and light fittings are gone. What does remain though, are the original wallpapers and original paint scheme. 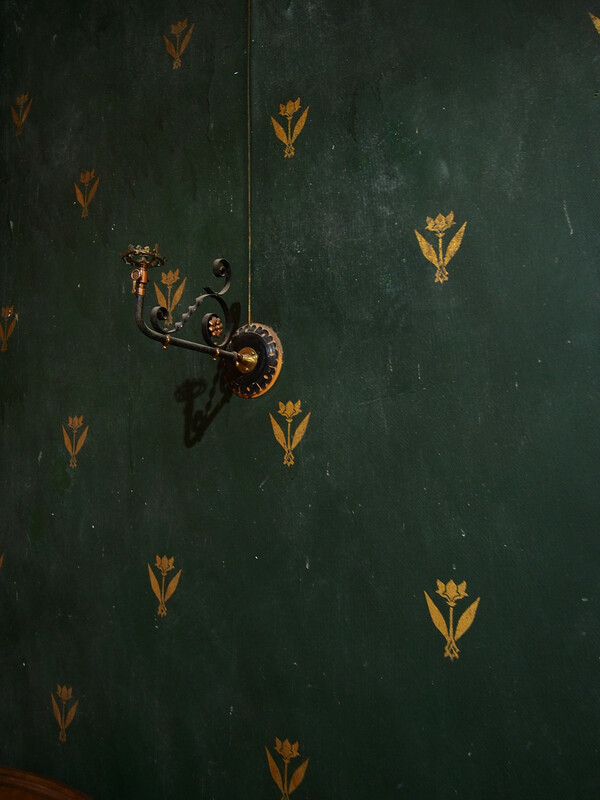 Beautiful busy Victorian papers and hand painted frescoed walls peep through the grime and moss. The evidence of the money and love once lavished on Stanhope makes its decay particularly sad; but unlike many houses that stand derelict, the remnants of the past means that Stanhope still has a soul. And it still stands, against the wide sky and all odds. Perhaps one day it will find someone to love it again. *Please note: both of these houses are in private hands and not open to the general public.